1. He really does not need the non-Malay vote (if the non-Malay vote abandons him) and his numerous alliances - or should that be dalliances? 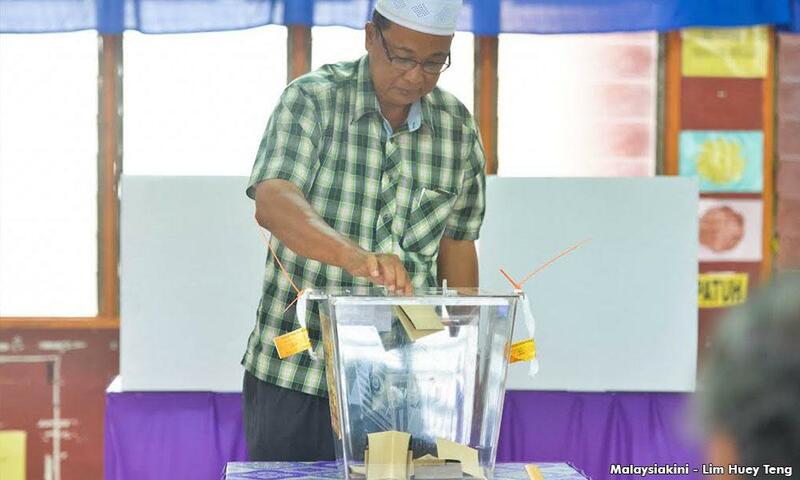 - with the extreme elements of Malay political structures have borne fruit. 2. 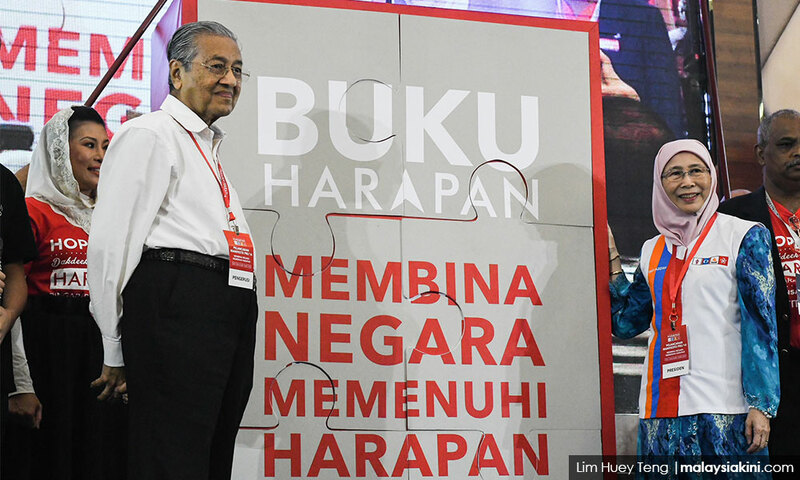 If the non-Malays do not abandon him, then the “social contract” is still relevant and Umno understands that the non-Malays have grown tired of rebelling against the Umno hegemon. Either way, with all the gerrymandering, abuse of electoral institutions and cash politics, what passes for democracy in this country will continue with the Umno hegemon secure in the knowledge that they have bested one of its best and brightest – okay, the only best and brightest (Dr Mahathir Mohamad) – and secure in the knowledge that their hegemony will never again or at least most probably will never be threatened by the split in the Malay community with the collusion of non-Malay voting blocks. Make no mistake. This election is not about principles or policies but rather the biggest fight in the Malay community. This election is a choice between Najib and former prime minister now opposition PM-designate, Mahathir. If you think that this is about reforming the country, you are operating under severe delusions. Whether you believe that the former prime minister is an agent of change depends on how much you have invested in the opposition. This does not mean change will not happen under a Pakatan Harapan regime but just lay off the kool-aid. Things happen when there is regime change. The important point is not to invest in politicians and holding politicians accountable for what they claim they want on your behalf. Do not get too excited about election manifestos. They do not mean a thing. They do however give potential voters a hint into the mindset of how politicians want voters to think. It is strange, isn’t it? Election manifestos are not legally binding when they are supposed to be (written) promises from politicians to the people who vote for them. I wonder what would happen if they were? Anyway, it is not important. Senior minister Abdul Rahman Dahlan claims that Umno wants a broad base of support and non-Malays risk being marginalised in the country if they do not support Umno. In other words, the only thing holding back the excesses of the Malay community is the participation of non-Malays in this charade we call democracy. What happens if the non-Malays abandon Umno? Would Umno ditch all those “rights” that non-Malays rely on to survive in this country? Get one thing straight, non-Malays are not asking for any “rights” which are not expressly stated in the Malaysian constitution. But because this is the cursed politics of our country where unimaginative, petty tyrants in the establishment and the opposition hold sway, this is how politics is defined in this country. Sometimes I wonder why non-Malays even vote. I mean, it is not as if they are dependent on the government. I am old fashioned, addicted to (conservative) Western modes of thinking. That old idea that government should stay out of the way and let people get on with their lives. Western (conservative) political hegemons certainly do not believe this. Governments beholden to corporate interests, maintaining centralised power and foreign policies wreaking havoc around the world not based on national interests but specific (class) interests, this is what real conservatism is about today. Malay politics always needs a bogeyman. If you cannot blame someone else, what does that mean? If you are not as successful as the next – other race – person, what does that mean? If you are non-Malay, it means you did not work hard enough. Did not do enough. Did not try hard enough. This is not about politics. This is about history, culture, how we came about this green and pleasant land. If you are Malay, well, check out the rhetoric of Najib and Mahathir to get an idea. This jives with what Malay opposition political operatives tell me - that the Malay vote is not about policy but rather about enticements. Temporary (the goodies on the campaign trail) and long-term (more entitlements please). If this sounds harsh, well, this is the game the opposition has committed to play and apparently, the zombie apocalypse happens if Umno wins. Which is another way of saying that you got fat of the kleptocracy when in power so, better cough up the dough now that you want to replace the big cheese. Come on, we all know who the “well-to-do” players in Harapan are. The Najib refuseniks may be on the opposition side but it does not mean that they lack funds, which is the mantra of the opposition. If you are sincere in your desire to want change, you better be willing to pay for it. I mean Umno folks openly say that the opposition has no cash, which really means they are waiting to see if those folks from Umno (and now in the opposition) will really use their own money to fund the revolution. Thor Kah Hoong references the great China Mieville, while I mention an early Richard Donner film. Oh well. So yeah, do something good for once with your ill-gotten gains. Strange isn’t. People mock Najib when he says cash is king but cash is exactly what is needed to mount an effective electoral campaign. While this is not solely a Malaysian problem, it is funny when you think of it, that the ill-gotten gains from another era could be the key in the disposing of a corrupt regime in this era. What you really have to worry about is whether this is the last election if Umno loses.